HomeBusinessWhat Kind Of Security Does Your Home Business Need? In this day and age, there are a variety of ways to start your own business, each having their own pros and cons. One of the rising trends for personal businesses is to operate out of your home. These home-operated businesses could be online businesses that sell products or provide services, small consulting businesses or a separate part of your home, such as a hair salon or a tutoring service. There are endless options for those looking to start a home business. But regardless of what kind of home business you have, you need to be looking into your security. Why Do I Need Security? Security probably isn’t the first thing on your mind when it comes to your business. You might be wondering if you actually need security, or if the security you already have for your home will suffice. With very few exceptions, you do need to get separate or additional security for your business. All of your assets are stored at home, making you a more vulnerable target. Most burglars will case a target for an extended amount of time before choosing one, and if they figure out that you work from home, they will be more tempted to try and break into your home. The type of security that you need will depend on the type of business you have. No matter what your business is, safety is easier to achieve with a security system. If your business is conducted out of your home office, you will need something very different than a business conducted from a home studio. But there are a few things that remain constant between all the different setups. One of the best ways to protect your business is to make sure that you know what is going on. It may not be feasible to have a camera running at all hours, the way some traditional businesses do, but that doesn’t mean you have to give up on surveillance. Using a motion-activated camera means that it will only record what is needed. You can place these cameras inside the area that you work in, or outside your home if you have a separate entrance for your business. 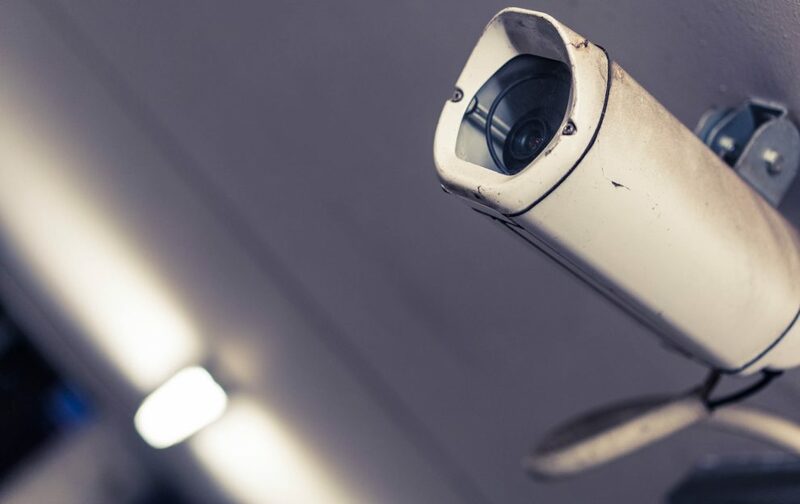 These cameras may not prevent break-ins, but they do discourage some criminals, and they will provide excellent evidence. Hopefully your workspace is well-lit and has plenty of windows to provide natural light. But that natural light poses a greater security risk than you might imagine. When you leave the blinds open, you allow anyone to peer inside and see what you have and what the best ways to get in are. Windows tend to be significantly easier to break in through than doors. That doesn’t mean that you have to get rid of your windows, it just means you need to take precautions. Don’t leave your blinds open unless you are in the room working, and never leave the windows open when you aren’t in the room. Invest in some sturdy window locks so that it is harder to jimmy the window open. You could also consider planting some thorny or prickly plants below the windows so it is hard to approach them. This may seem obvious, but you would be surprised how many people don’t have an adequate alarm system for their business. While you can use many of the same products that you use for your personal home security, it is important that your business security alarms can function separately. Make sure that the alarms are set when you aren’t in your workspace, especially at night. Hopefully, your family won’t accidentally trip the alarm, but it is better to have a couple false alarms than to leave your business assets unprotected. Many home business owners aren’t security experts. They may not be thinking about it, or they may not provide accurate resources. Don’t make the mistake of forgetting to secure your business. A little money spent on security can have a big payout in the long term.